One man&#8217;s journey through his music collection. As a lover of music, I was asked to put together some playlists of songs and thought this would be perfect for a blog &#8211; so here it is! There will be little in the way of rules as to how I&#8217;m going to approach this. The only thing will be some sort of categorisation that will tie the songs in the playlist together &#8211; year, style, artist etc. 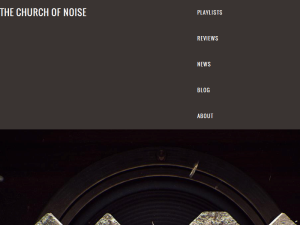 This what your Church of Noise Blog Ad will look like to visitors! Of course you will want to use keywords and ad targeting to get the most out of your ad campaign! So purchase an ad space today before there all gone! If you are the owner of Church of Noise, or someone who enjoys this blog why not upgrade it to a Featured Listing or Permanent Listing?